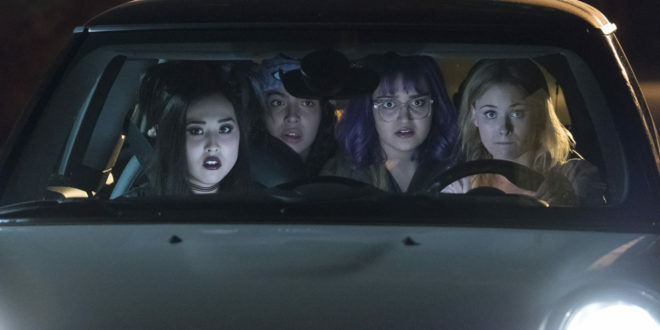 This week’s episode of Runaways, “Kingdom” was packed full of action, group bonding, and surprise twists. We even get to learn who that flakey decrepit man Leslie nakedly snuggled with is! Most importantly though, this is the first time that the show has truly felt like a superhero series as the gang joins forces to find Alex. Alex has been abducted by Darius Davis, the guy whose Nana Mr. Geoffrey Wilder threatened to kill a few episode ago. In a nutshell, Darius and Geoffery are childhood friends and were locked up together. One day, Cole from Charmed visited Geoffrey in jail and offered him a business proposal. There was one the stipulation, he wouldn’t work with Geoffrey if he was in prison. So Mr. Wilder asked his bestie to do him the biggest solid ever (confess to a murder he didn’t commit) so that Geoffrey could get out of prison. It was a big ask but he promised that Darius and his family would be set for life if he went along with the plan. 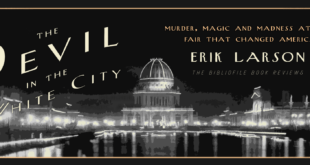 Well, it turns out that isn’t what happened…. Which leads to Alex getting kidnapped. Darius tries to disabuse Alex of the notion that his father is a good man and Alex responds with “Nah dude, hold your breath. I already know my dad is a stone cold murdering douchebag. No convincing needed here.” Alex does seem to connect with Darius’s tech wiz, Andre, who is about the same age as him. Unfortunately, Alex ends up having to shoot Andre in the shoulder in order to save his dad’s life (more on this later). Nico calls her fellow runaways to meet her at the Cafe to come up with a plan to find Alex. Karolina is the first to get there, and guys, we need to discuss the way Karolina looks at Nico. (Don’t worry, I will be talking about it constantly). In response to Karolina freaking out about their parents being murderers, Nico gives Karolina a comforting hug. And boy, does Karolina lean into that hug; her body practically melts into Nico’s embrace. That is until they are interrupted by the rest of the cavalry– Gert and Molly. With the gang all there (sans Chase who is spending quality time with his pops) Nico casts a magical Alex finding spell with the Staff of One and these four badass chicks go off to save the Man-sel in distress. Karolina is in the driver’s seat, driving like a beautiful, charming, and magical maniac, as she chases after Alex’s heat signature. This was one of my favorite scenes of the episode. 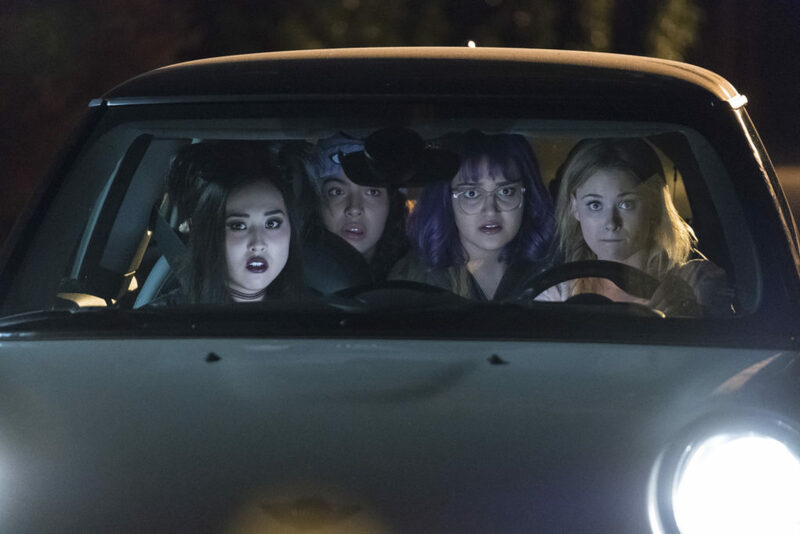 While Gert is in the back complaining about Karolina’s driving because 1) she is getting car sick and 2) she doesn’t want to die in a gruesome wreck, Nico turns to Karolina and says “You’re doing great.” That is all Karolina needs to hear to confidently continue her insanely crazy driving. When the girls finally catch up to Alex, we get to see each of the runaways use and demonstrate their respective powers. After Nico fails to disable Darius’s SUV, Molly jumps in with her mutant strength to save the day by lifting the car with her bare little mutant hands, finally proving her powers to the group. But it doesn’t stop there. Next, Karolina takes off her bracelet and Rainbow Brites the hell out of Darius et. al., and when Chase finally arrives he blasts his Fistigons at the baddies. It is Nico, though, who saves the crew by casting a protection spell that stops bullets midair. 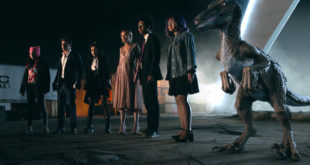 It was a fabulous fight scene, and it is the first time I felt that these Runaways were a team of superheroes. The scene following the epic fight sequence is my favorite of the episode though. The teens reconvene at the Coffee Shop to digest that night’s events, as Nico brushes a strand of hair off of Karolina’s face. The gang is hyped on adrenaline, as knowledge of Karolina’s and Molly’s powers are out in the open. They are amazed that Karolina can glow. They are in awe of Nico’s Staff of One. They all learn about Old Lace. But even among all this excitement, they have to deal with the fact that their parents are evil murderers, and most likely are about to sacrifice Alex’s new friend with the gunshot wound, Andre. The kids rush to The Wilder’s secret underground sacrifice dungeon only to find an empty room. The Pride has decided to conduct their sacrificial ritual in Leslie Dean’s private Gibborim room instead. And this time, the sacrifice ritual works and the flakey decrepit man turns into COLE from Charmed aka Jonah Dean, aka Leslie’s husband and Karolina’s birth dad! Jonah: I think it is safe to assume that Jonah is Karolina’s birth father. Actually, that is the only aspect of this storyline that I feel safe assuming. Everything else is just a long list of questions. How did he get decrepit? Do the sacrifices performed every year bring him back to normal form, or was it just this one? If it was just this one, why is this year different than any other year? Also, I was assuming that the sacrifices were to a higher power, something that gave them success, but it was just to un-flakeify Jonah. I can’t imagine that the rest of the Pride would risk so much just to save Leslie’s husband, so are they just making him normal to proceed with the second part of another ritual? Amy: I have a new potential Amy theory. When Tina Minoru catches Nico returning the Staff of One she says something along the line of “You and I are the only ones the staff works for.” This made me wonder if Amy’s death was connected to the Staff of One. Maybe she tried to use it, but since it was not her destiny, it had harmful effects resulting in her death? Karolina: I am sorry if this is a spoiler for some, but most of you know by now that Karolina comes out as gay in the Runaways comics. While it is slightly hinted at towards the end of the first complete volume, it isn’t said out loud until later. 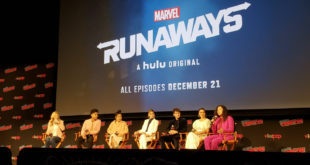 I love how they are putting it front and center in the TV adaption of Karolina’s character. I love the way Virgina Gardner is able to portray the confusion and pain of coming to terms with her sexuality and falling in love with a close friend. Her face brightens and her body relaxes with every interaction with Nico. But then she sees Alex and Nico together, and she wants to scream and cry, but she can’t. She has to hold in that pain. She has to grin and bear it. Chase and Victor Stein: I am conflicted about Chase’s storyline with his father this week. After discovering Chase’s new invention, Victor decides to have some quality bonding/inventing time with his son. Chase’s eagerness to put aside all the pain his father has caused to receive any praise and any quality time with his father was heartbreaking. I can’t tell if the show wants us to feel compassion for Victor Stein though, and that was further complicated by Victor revealing to his son that he has a glioblastoma. This ailment explains why Victor has been sweaty and seeing things, but it doesn’t explain away why he has been abusing his wife and husband. I just don’t understand where they are going with this. The Cafe: This may be a trivial point, but this is supposed to be the same coffee shop that Molly ripped the toilet and window out of while escaping Mrs. Wilder, right? How is Molly still allowed to patronize this establishment? Also, did the coffee shop already repair the bathroom, or are they just running their business with a toilet less bathroom that also has a gaping hole in the wall?